Years of explaining dry-aging of meat to our lovely clients mean that most of our customers understand that we cannot produce a beautiful dry aged cote de boeuf out of thin air. 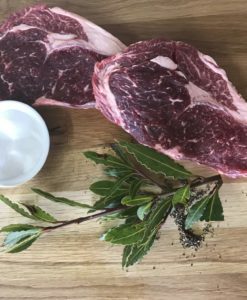 From late October through to mid-December large quantities of our home-bred cattle, plus beautiful finished animals from other local famers arrive weekly to hang on the bone in our dry aging fridges. 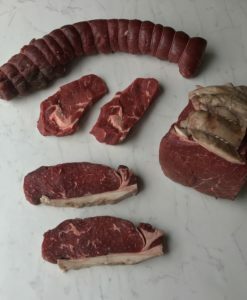 We are butchering seven days a week to ensure that you have enough Foreribs, Rump Roasts, Sirloins and Topsides and whole Filets for your beefy feasts, whether roasts or Wellingtons. Since Victorian times, it has become traditional in the United Kingdom to eat large specialist poultry such as Turkey and Goose any time from Michaelmas – at the end of September – through to Christmas and the New Year. We do not rear this poultry ourselves. 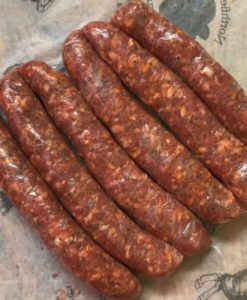 Our speciality is the rearing of great grass-fed British beef and lamb. 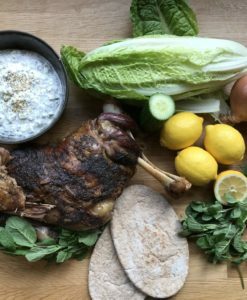 We prefer to source fantastic free-range turkeys and geese from specialist farming families who have been rearing them for generations. The Garner Family have been rearing bronze turkeys at Godwick Hall in Norfolk for nearly 100 years. The turkeys are fully free-range, and feed only on the finest natural diet, free from any additives. The Botterill family have been using the same methods for four generations to rear their incredible free-range flock of geese in the shadow of Belvoir Castle some 10 miles from our farm. From April to November, they are walked daily from the farmyard to the fields to graze, and then back home at night. On the Derbyshire Staffordshire borders, the Packingtons have been rearing incredible free range corn fed cockerels for years. They are not as big as a turkey, but incredibly meaty with dense, flavoursome flesh. All of this specialist poultry is dry-plucked and game hung in the traditional manner, to achieve a superior taste. 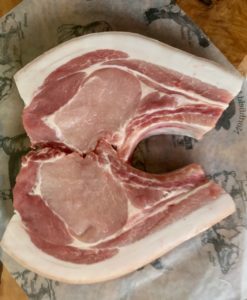 We continue to supply our sensational outdoor-bred pork at Christmas time. 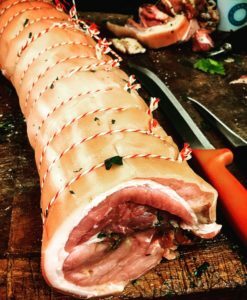 Alongside their turkey or cockerel, many families love a leg or shoulder of pork on the Christmas table with golden crackling just begging to be crunched. 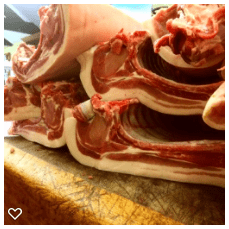 From about September onwards, we start the process of dry-curing all joints of pork to turn into the gammons and bacons that are so much a part of Christmas for so many. 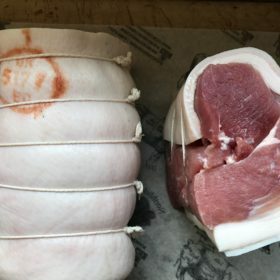 We also cook the Gammons for you, should you wish, and turn them into dreamy mustard and honey glazed ham joints. And where would we be at Christmas without sausages? 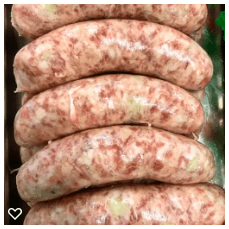 Chipolatas on Christmas Day, Fat juicy sausages for holiday breakfasts, cocktail sausages cooked with honey and wholegrain mustard for drinks parties, or a crowd of pigs in blankets around your goose or turkey.